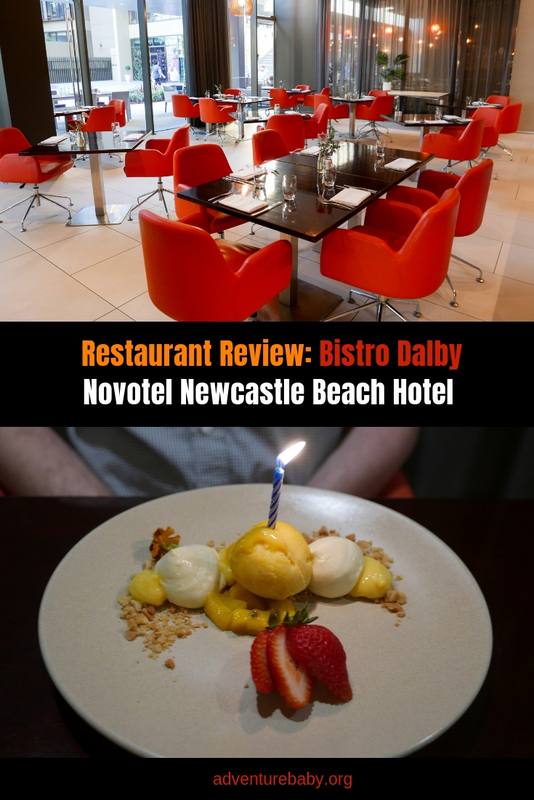 Bistro Dalby at the Novotel Newcastle Beach Hotel - Adventure, baby! 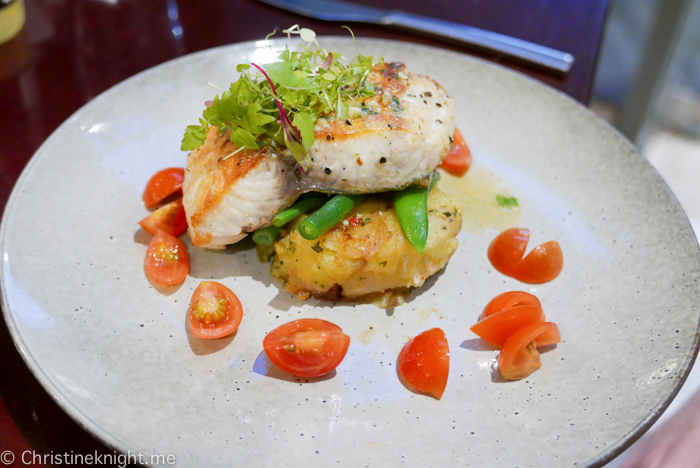 Bistro Dalby is a chic restaurant serving up Modern Australian cuisine. 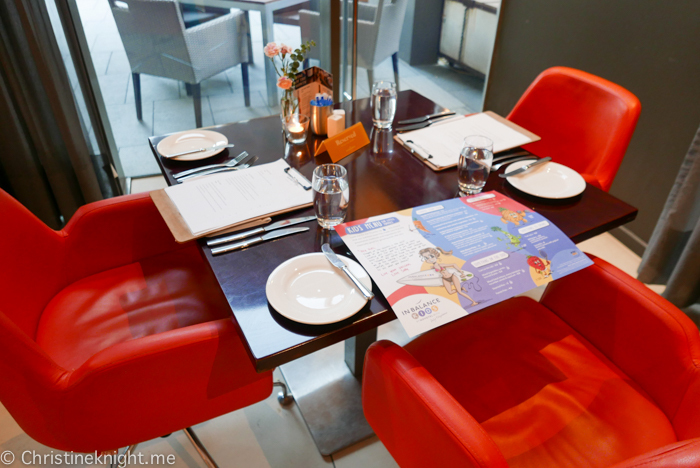 Located inside the Novotel Newcastle Beach Hotel, the restaurant is the perfect place to dine after a day of sightseeing. 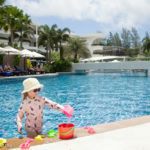 The restaurant offers indoor and alfresco dining options and a fully equipped bar. 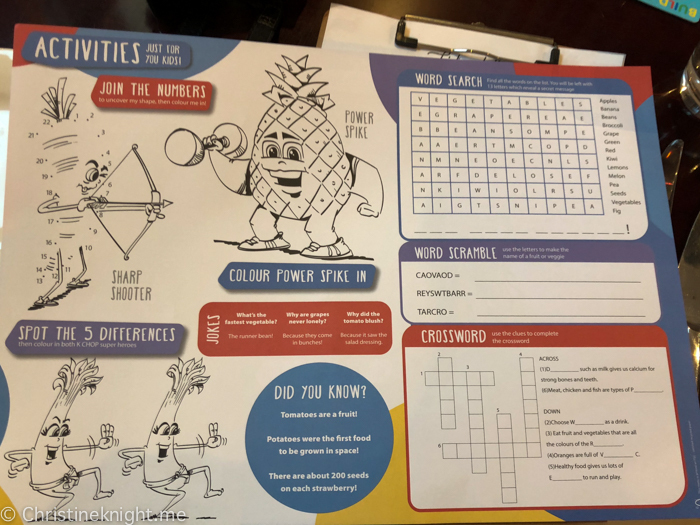 The menu has a great variety of dishes, including fresh and healthy options, with dietary requirements such as vegetarian and gluten free accommodated for. 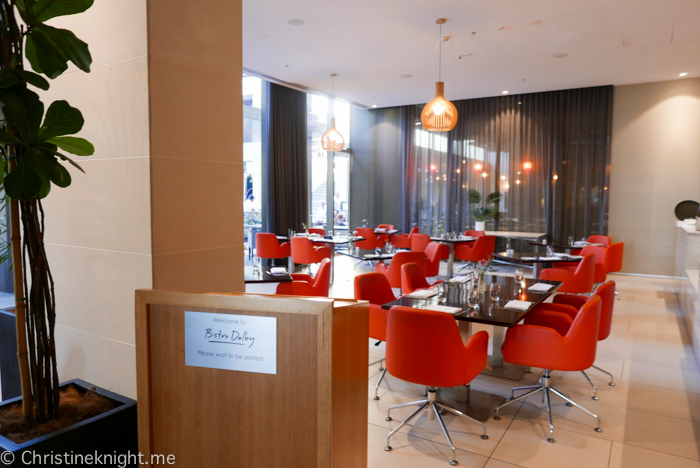 Bistro Dalby has a bright, modern interior. We loved the orange chairs that were as comfortable as they were stylish. 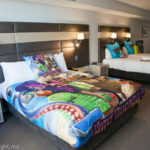 With plenty of space between the tables and its location on the ground floor of the hotel. Bistro Dalby is also wheelchair and stroller accessible. 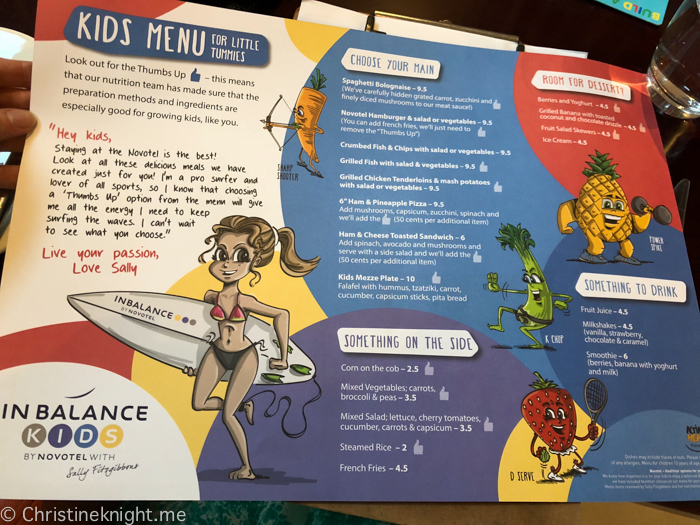 Kids get their own special menu with the biggest variety of dishes I’ve ever seen, plus a page of activities on the back. 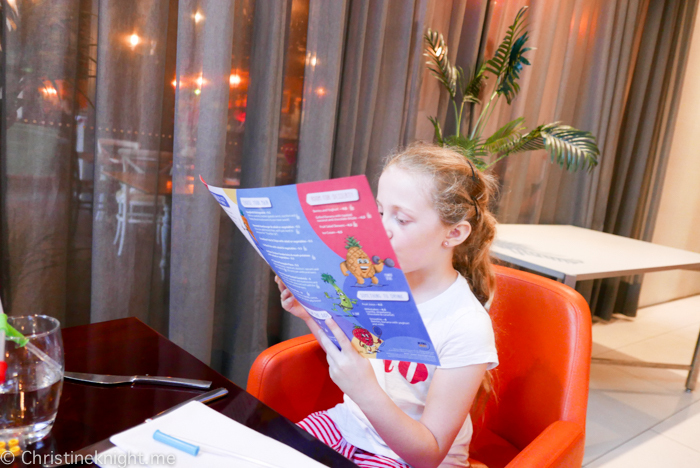 It’s the first place we have dined where there have been so many kid options that it took a while for Cheese to decide what she wanted! 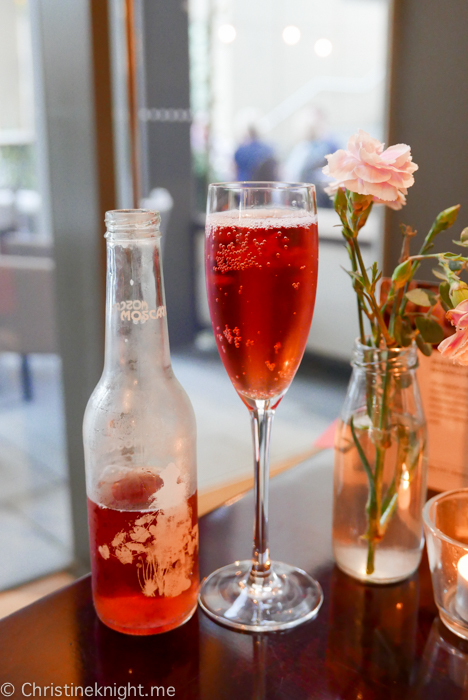 Adults will love the extensive wine list and menu that features a good choice of dishes that suits all appetites and diets. 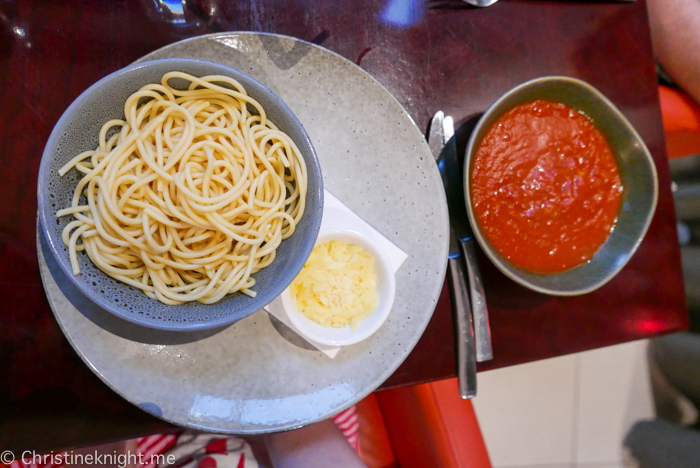 We ordered the kids’ Spaghetti Bolognaise without meat and deconstructed for our fussy eater ($9.50). There are carefully hidden grated veggies in the sauce but shhhhh don’t tell our picky eater. 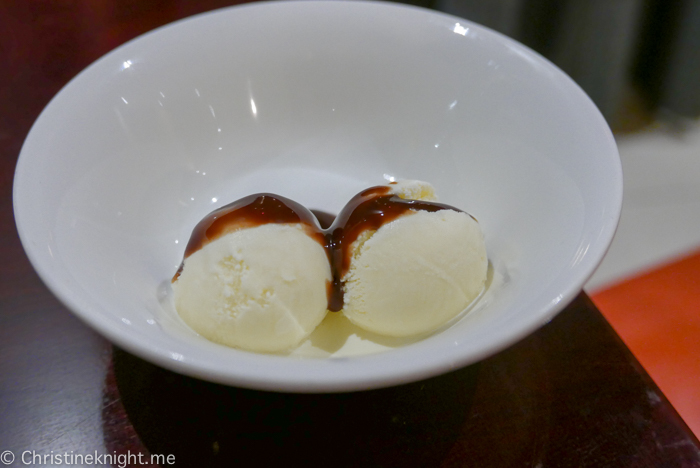 She also chose the Ice Cream ($4.50) for dessert and the Kids’ Milkshake ($4.50). 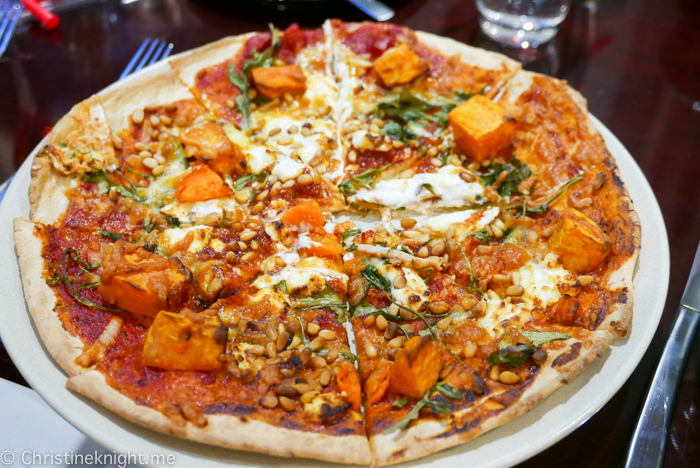 I chose the Pumpkin Ravioli (w/ crisp sage & a burnt butter sauce topped w/ tea soaked raisins (V) $16) and Vegetarian Delight Pizza (w/ fresh napoli sauce, roasted sweet potato, goats cheese, rocket, spanish onion & pinenuts $22). I loved my dishes. 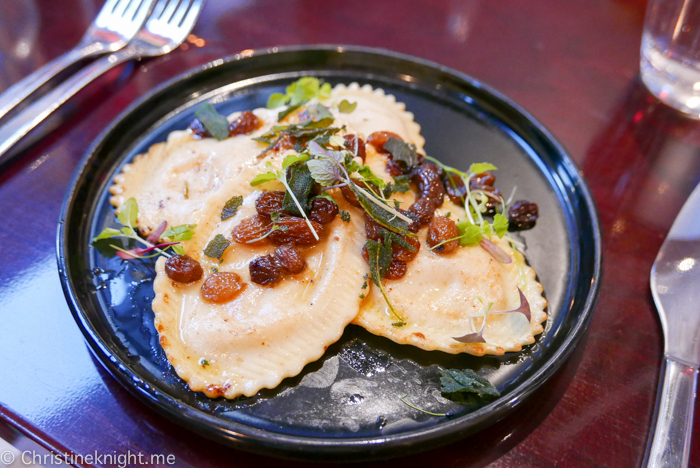 The ravioli was perfectly cooked with creamy pumpkin inside and the serving size was very generous for an appetizer (the dish is available in a larger side for a main). My pizza was delicious. The base was crispy and the toppings fresh. I can’t stand a soggy pizza and this was spot on. The pinenuts were a particularly nice touch with the zesty goats cheese. Hubby ordered the fish of the day. His only comment was “delicious” and not a single morsel was left. He also enjoyed the fresh mixed leaf salad. 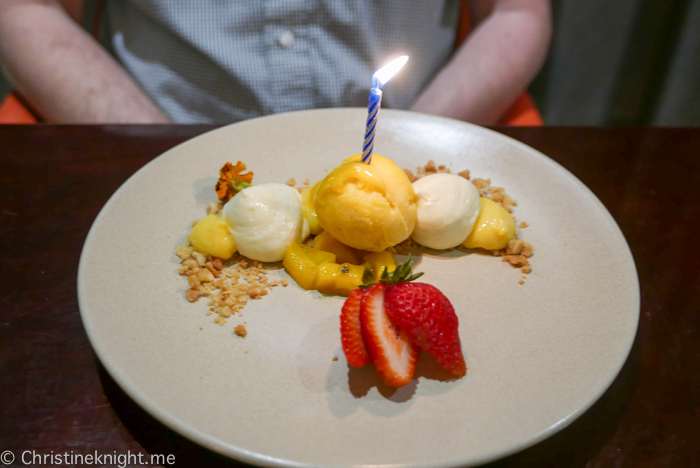 It was hubby’s birthday when we dined and the staff brought his selected desert, the deconstructed mango cheesecake, with a candle on top and sang happy birthday to him. He isn’t a big dessert person so it speaks volumes that he loved it. The staff at Bistro Dalby couldn’t have been more welcoming, friendlier or helpful throughout our stay. Our wonderful waitstaff could not do enough to make our dining experience memorable. 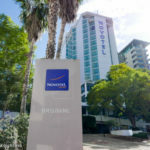 We love staying at the Novotel Newcastle Beach Hotel when we are in town. 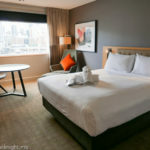 You can read my review of the Novotel Newcastle Beach Hotel here. 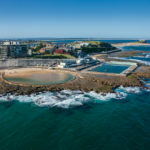 Check out fun things to do in Newcastle here. 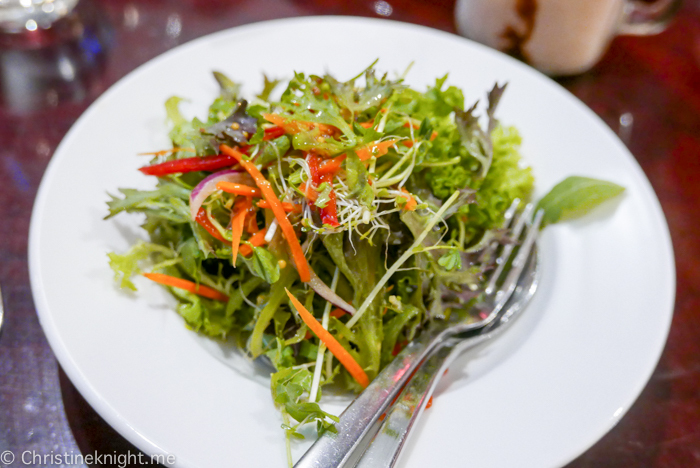 Our visit to Bistro Dalby was hosted for reviewing purposes. 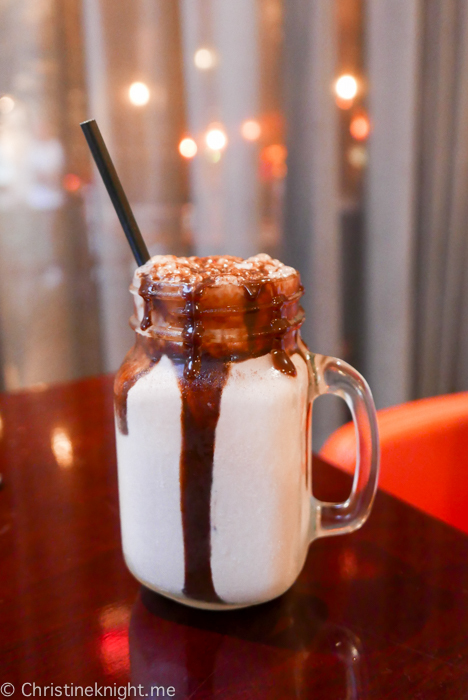 The staff were unaware of this and the excellent service and food is indicative of the experience everyone receives.